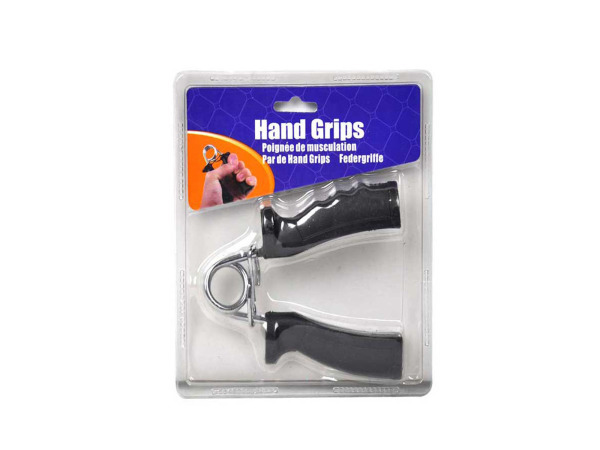 These hand grips are great for exercise. Use them to keep the hands strong and muscles exercised. Includes one set of hand grips. Each pair measures 5" long.